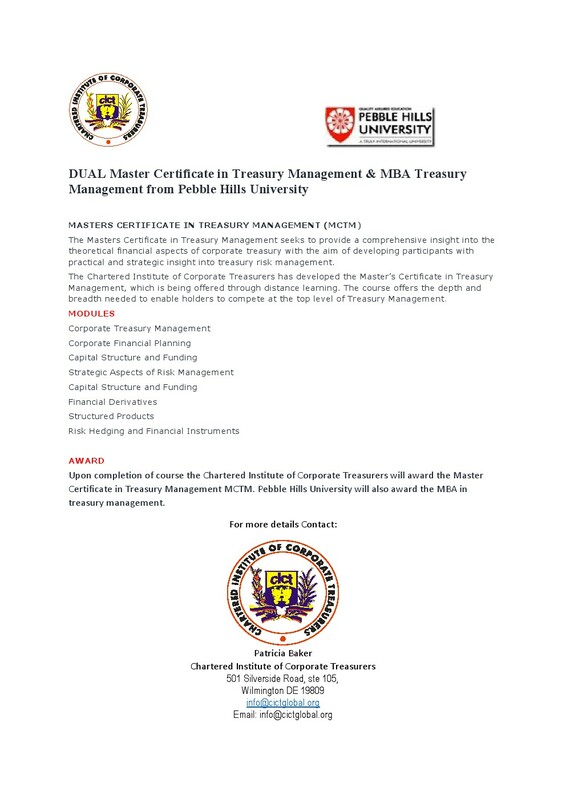 The Masters Certificate in Treasury Management seeks to provide a comprehensive insight into the theoretical financial aspects of corporate treasury with the aim of developing participants with practical and strategic insight into treasury risk management. The Chartered Institute of Corporate Treasurers has developed the Master’s Certificate in Treasury Management, which is being offered through distance learning. 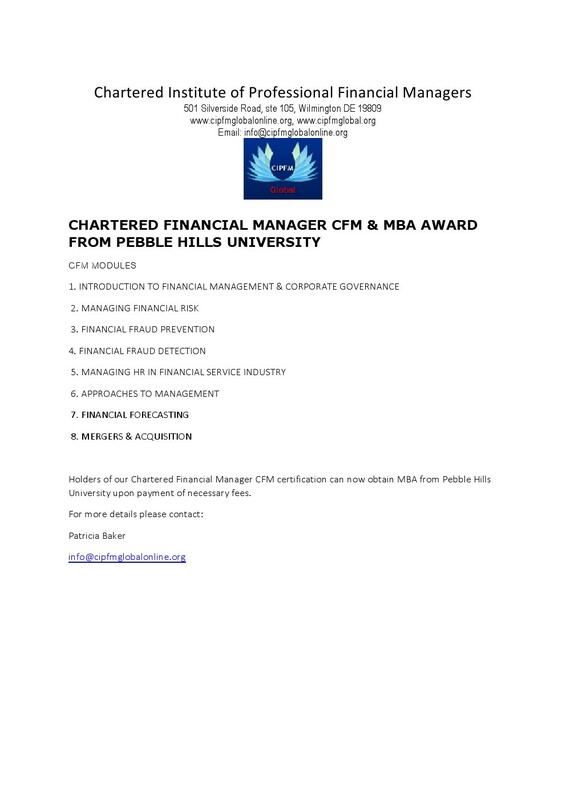 The course offers the depth and breadth needed to enable holders to compete at the top level of Treasury Management.